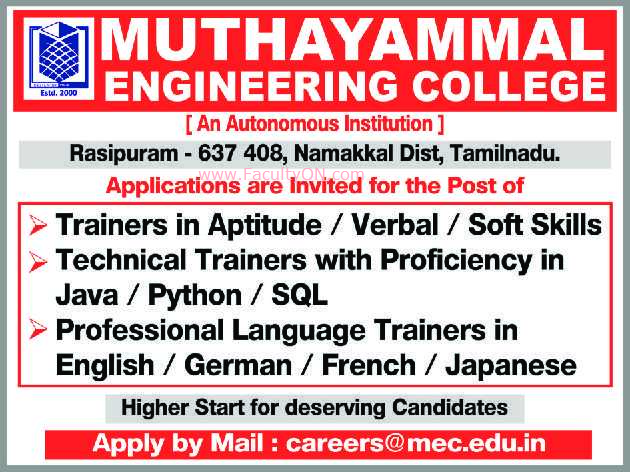 Muthayammal Engineering College, Namakkal has advertised for recruitment of Non-Teaching Faculty- Trainers jobs vacancies. Interested and eligible job aspirants are requested to apply as soon as possible from 28th November 2018. Check out further more details below.